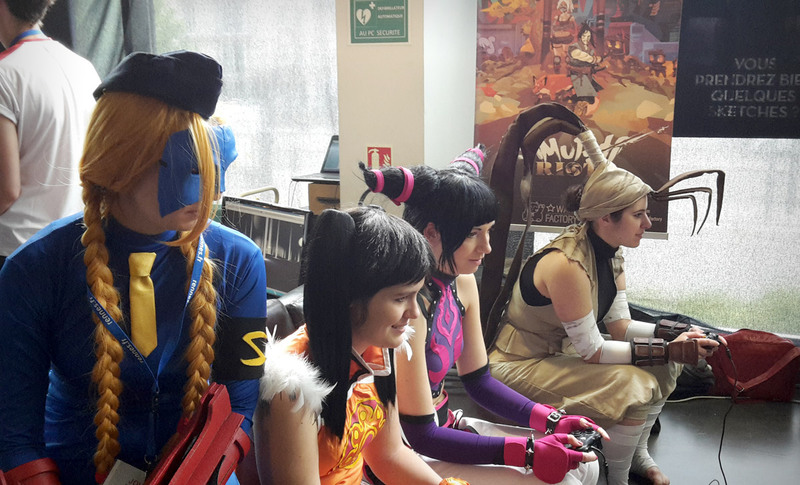 This time it’s Mickael, our developer, who talks about his work in the video game industry. 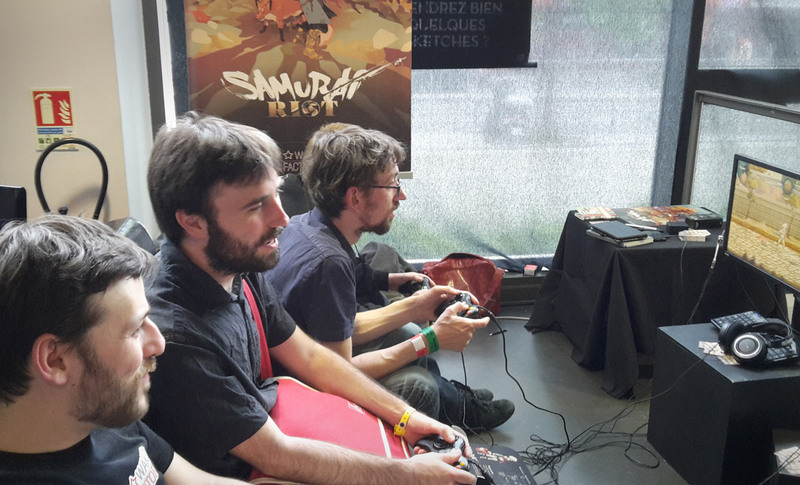 Those 3 days at the Stunfest Festival were awesome and a lot of you tested our alpha demonstration of Samurai Riot. 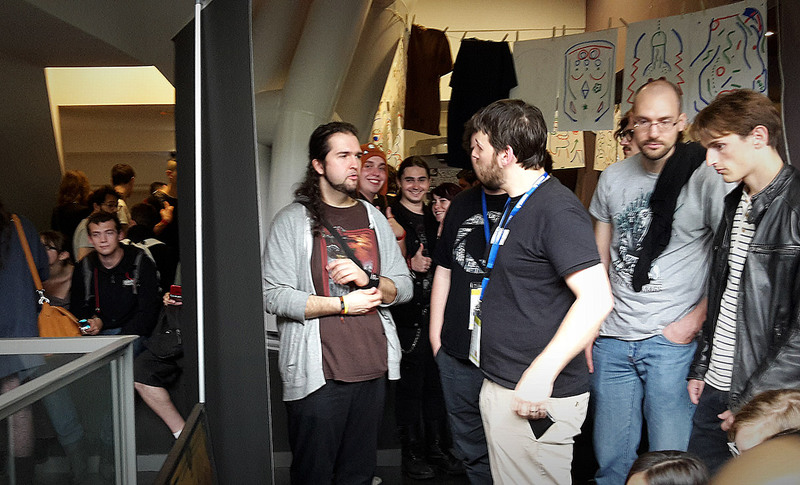 Your enthusiasm was great and our 2 test stations were full from 10 am to midnight, all 3 days ! Thank you ! 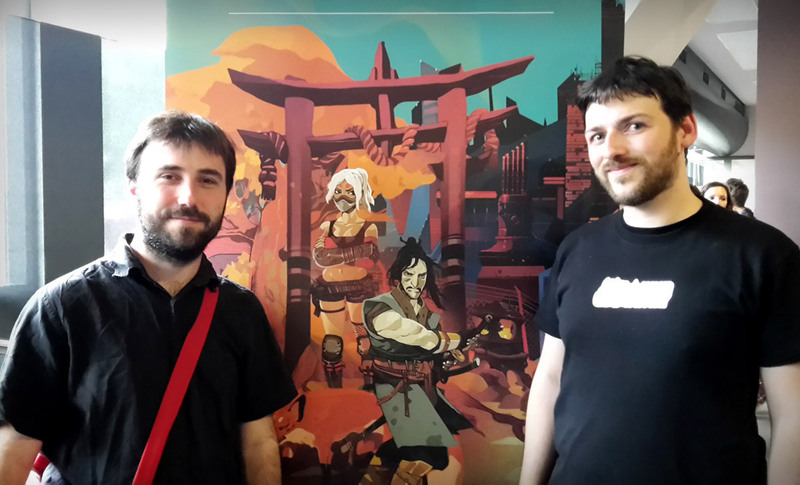 We also had the visit of Atomium, a very popular french streamer, who tried Samurai Riot and gave us some good feedbacks about it. See you next week-end for the festival Epitanime in Paris ! 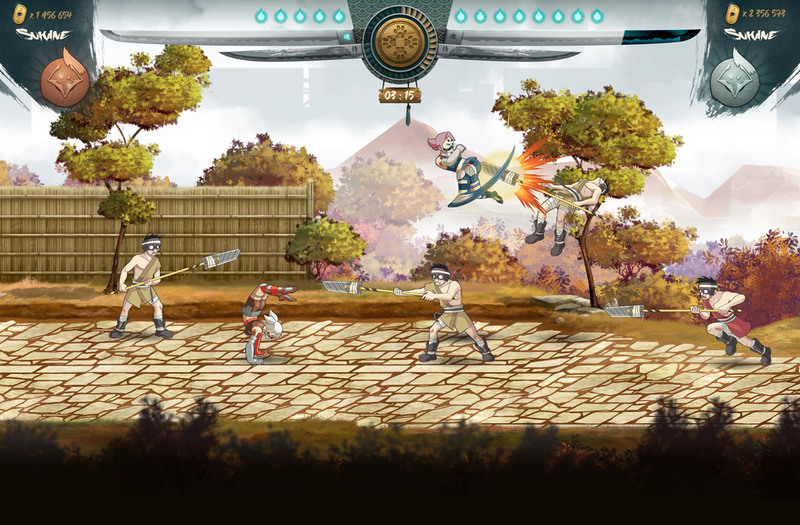 We are very proud to show you the very first image of the Samurai Riot UI Design! The screenshot comes from our internal demo which will be partially revealed (and tested) during the 3 next week-ends in some French festivals (Stunfest, Epitanime, Geek Faeries)! This awesome UI Design was made by the talented duo Dune & Sosoa. 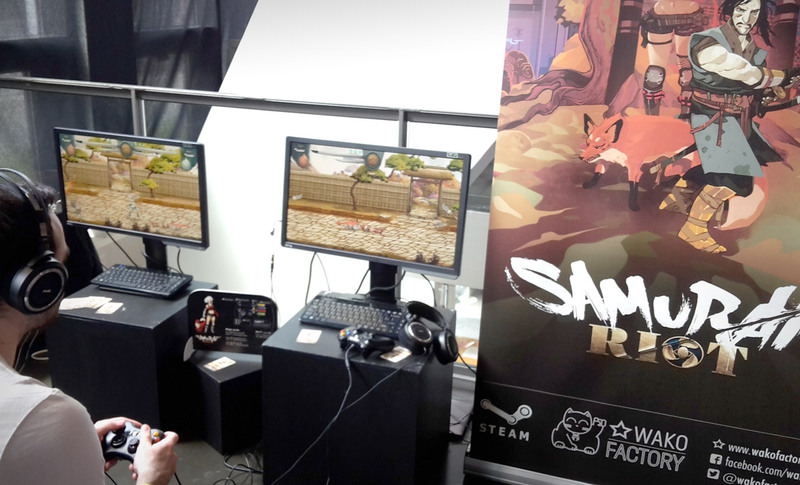 They already worked on the Samurai Riot’s logo. 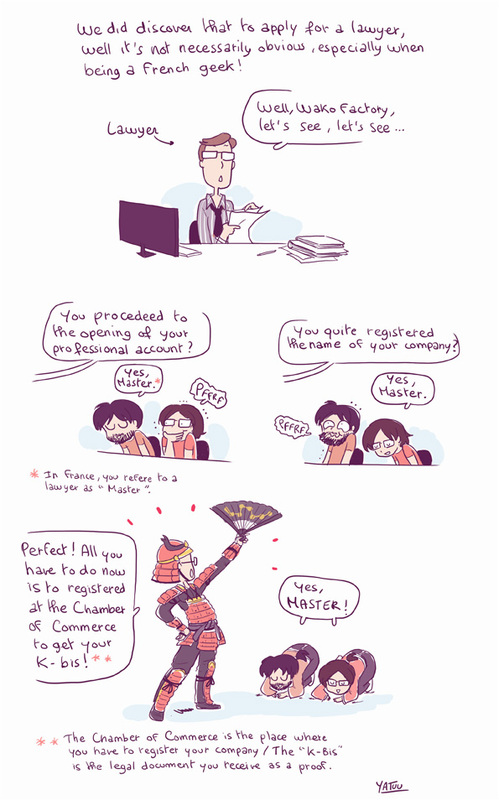 As a french geek, it’s not always easy to meet your lawyer and remain serious about it! Here’s the video of the illustration of the Kitsune in time-lapse. The video has been accelerated 60 time and we do hope you’ll enjoy it! Best viewing to you all! The new Wako Comic Strip… and it’s a true storie!..